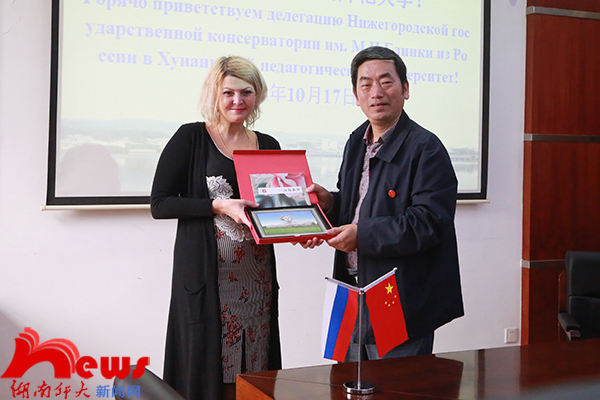 In the afternoon of Oct.17, the joint conference of Administrative Committee for the partnership between Hunan Normal University and Nizhny Novgorod State Conservatory was held in the second meeting room of office building in HNU. 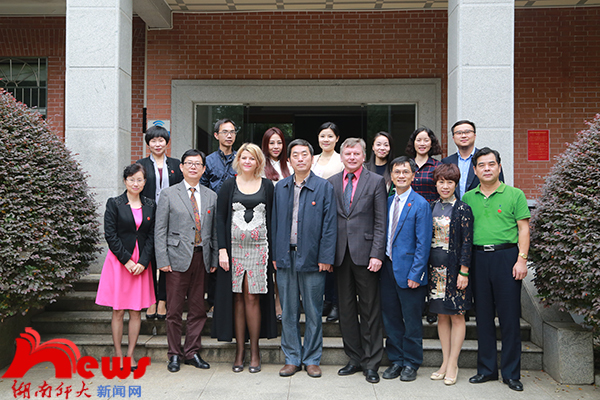 Li Dazhi, the vice president of HNU, and Krasnoegolota Eva, the vice president of NNSC attended the conference. 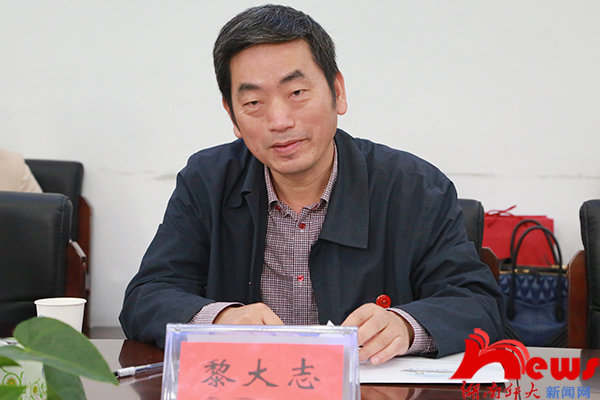 Li Dazhi, the vice president of HNU, expressed a warm welcome to the delegation of NNSC. He said, NNSC was renowned in the world, and they had a long friendship. He reviewed the process in which two sides made joint effort to launch the project for the music-performance-major graduates, and extended thanks to the leaders and teachers of NNSC for their works. Li Dazhi expected that both sides could integrate resources and strengthen cooperation to cultivate compound musical talents for the exchanges and friendship of our two peoples. Krasnoegolota Eva extended appreciation to HNU for their hospitality. 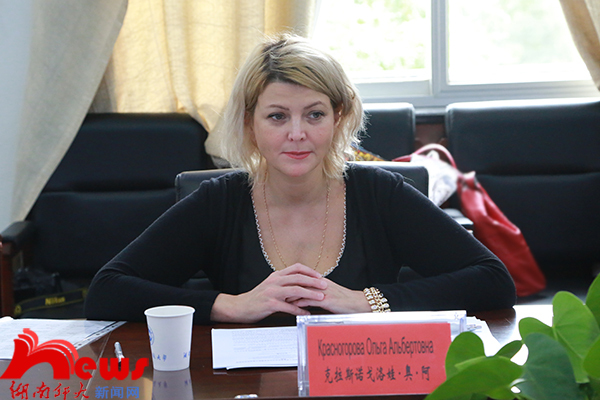 She said the cooperation between HNU and NNSC was a substantial step for NNSC to cultivate musical talents in Chinese universities. She briefed on NNSC in terms of history, subject setting, teaching experience, etc and emphasized their strong teaching qualityand faculty. Tang Jianwen, director of the office of the International Exchange and Cooperation reviewed their cooperation and introduced the project. Besides, the two sides consulted on Russian faculty, exchanges of students and teacher, the class for Russian art master and other issues related to cooperative school. 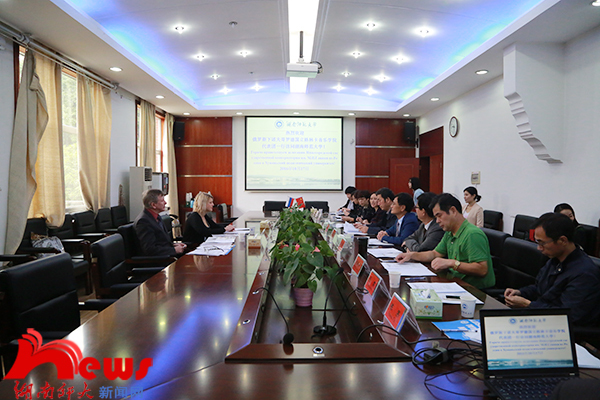 They made specific requirements in the ratio of courses, textbooks and teachers from abroad and defined the teaching group for the ten courses of the Sino-Foreign class. Attendees also included Frolov, director of Foreign Affair Office in NNSC, Zhu Yongbei, dean of Music College in HNU, Luo Rong, party secretary of College of Engineering and Design.